Privacy is what we do best. Whether you are looking for a place to have a quiet meeting with colleagues or clients, a confidential meeting outside of your office, or you’re an independent contractor trying to land your next client, we provide you with a quiet and uninterrupted space to conduct your meeting. 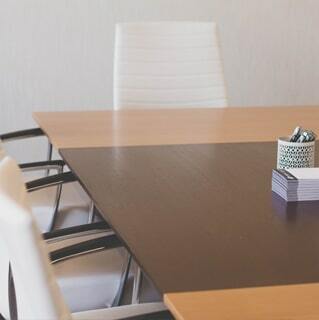 At On The Record (OTR) we have 7 boardrooms between two locations, all designed to suit your needs. Our Whitby location has 3 meeting rooms for you to choose from – Small, Medium, and Large. Our smallest can hold up to 6 people, the medium holds up to 8, and the large is capable of accommodating 10 people. 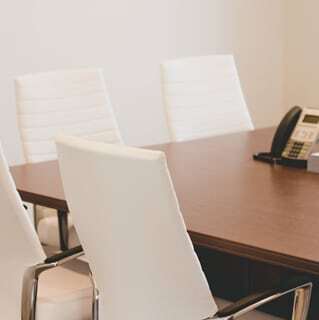 While Barrie boasts 4 different boardrooms capable of holding the same amount of people and is equipped with the same technology as our Whitby location. Booking a room from us is easy. 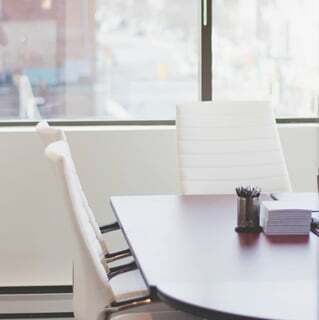 It can be done online by simply selecting the room size, purpose, and duration, date, and any other information you believe On The Record will need to make your meeting a success. If you are more comfortable using the phone, we also have staff that can take your reservation by phone and book your meeting for you. With our smallest room providing a comfortable setting for 6 people and our largest capable of holding up to 10, that is not the only impressive feature they offer. Each room provides you with the ability to have a teleconference, while the Large room also possesses the capability to videoconference. Be prepared for anything with our complimentary tools for a successful meeting. When you use us for court reporting, our transcription services are fast and reliable. If you are in need of a meeting room last minute, we can assist with that as well. In order to provide you with the best experience possible, we offer complimentary beverages and an optional catering package. Our beverages range from coffee, tea, juice, water, and pop. Our optional catering services can be scheduled for a breakfast and/or lunch. With our main office located in Whitby, it gives us the potential to cater to areas such as Pickering, Ajax, Whitby, Oshawa, Clarington, and the surrounding areas. This location is perfect if you are looking to avoid all of the traffic and congestion of downtown Toronto. Our Barrie location also provides great service and boardrooms that will have you feeling like you’re in downtown Toronto. The Barrie location can also offer its services to businesses in surrounding areas such as Orillia, Collingwood, Gravenhurst, Innisfil, New Tecumseth, and Simcoe County. Our locations and boardrooms are brand new, modern, and all feature a welcoming atmosphere. Each location has a full kitchen where food and beverages will be available when you decide to have lunch or a quick break. When you are not spending time in the meeting rooms, you and your guests will feel right at home. Our staff members are there to make sure everything runs smoothly and make sure your experience is hassle free. They will handle the set up and clean up of food and beverages, so that you may focus all of your attention on your guests. We are proud to offer off-site court reporting services. Our court reporters can accommodate you whether you would like to have them at your office or another off-site location of your choice.